It’s been a busy time lately because out of the entire year, I decided to participate in TWO studio tours and my first ever art fair…all in October and November. Call me crazy, I know…but my kids think it’s the greatest thing ever. 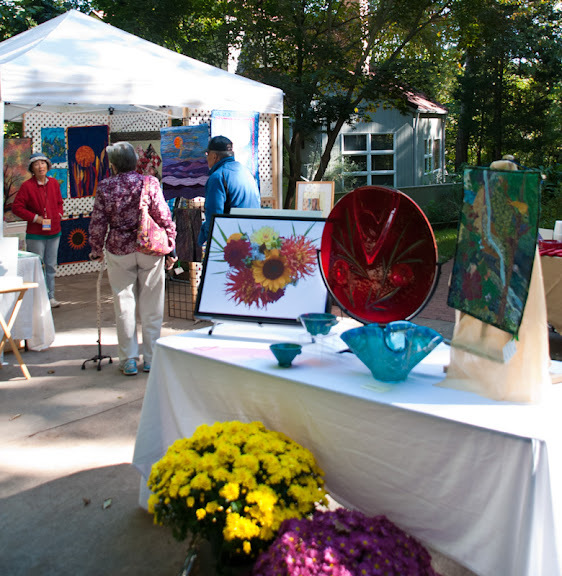 First time ever…I submitted an application to participate in an art fair in Chapel Hill. The first application I submit, of course I get in and then think “oh…I guess I need a tent…and panels…and…”. I quickly submersed myself into the world of art fairs. This is a whole new world of do’s and don’t’s and how to prevail against The-Wizard-of-Oz-type winds and still sell art. Wish me luck. It’s this Sunday, October 7th from 12-6. Just walk toward the increasingly loud music coming from the stage, put some ear plugs in and come say “hi”. No need to yell…I might not be able to hear that anyway. I will be at booth B67. This is what my kids are so excited about. People coming to our house is somehow exciting to them yet terrifying to me. OK, not terrifying as much as it is planning to still iron out…like parking and cleaning and what if someone needs to use the restroom? They’ll have to go in our house! OMG! Wish me luck, come by and say hi! Previous article	← You Found Me!